Tired of Not Being Reimbursed for Drug Screens? companies consistently adjust their policies in response to standard medical care. using the Prescription Drug Monitoring Program. CLIA waived laboratory or at point of care. The test results are obtained quickly. 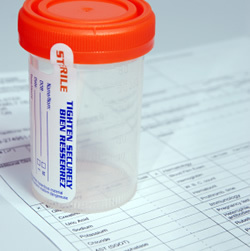 known as Definitive Testing, Quantitative Testing or Confirmatory Testing. drugs that cannot be isolated by immunoassay tests. existing plan in place to use the findings clinically. this, and any other billing issue, easier to understand.